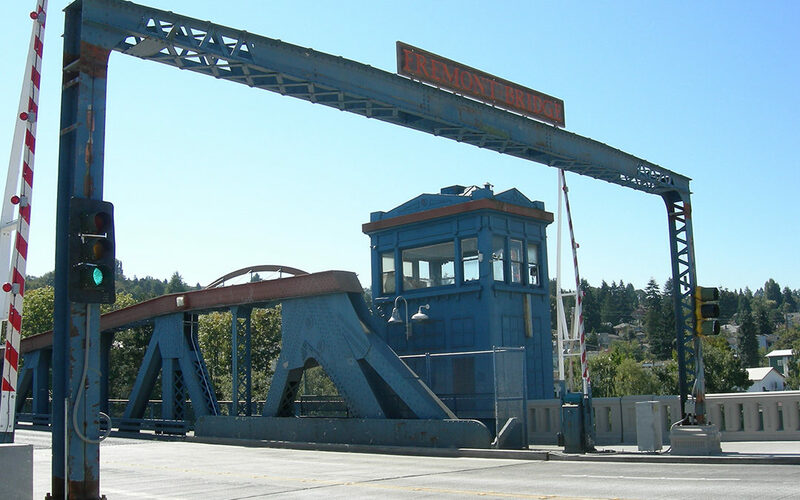 The Seattle Office of Arts & Culture (ARTS), in partnership with the Seattle Department of Transportation (SDOT), is looking for a composer and/or musician to be an Artist-in Residence in the 101-year-old Fremont Bridge’s northwest tower. The commissioned artist will be tasked with an in-depth exploration of the historic bridge’s role and meaning for the city of Seattle and create music in response to this residency. The residency runs from June through August 2018, and the winner receives a $5,000 residency budget, plus another $5,000 for sound project, presentation, and documentation. The application deadline is March 20. For more information, including how to apply, visit seattle.gov/arts. Multi-talented pianist Randy Halberstadt, known both for fluid trio work with vocalists and for his big-band tenure with the Seattle Repertory Jazz Orchestra, creatively explores the challenging middle ground of writing for a new septet of top Seattle artists on March 7 at The Royal Room. Tonight’s debut performance by this septet of Halberstadt (piano), Chuck Deardorf (bass), Adam Kessler (drums), Jay Thomas (trumpet/flugelhorn/flute), Ben Thomas (vibes), Dave Marriott (trombone), and Mark Taylor (alto sax) will set the tone for a new recording project, Open Heart, slated for a fall release on Origin Records, as well as for a feature appearance at the 2018 Earshot Jazz Festival. The deadlines to apply for a 4Culture Project grant in Arts, Heritage, and Preservation have been set. Grants are available to artists and art groups, residing in King County, who are creating and presenting work in dance, theater, music, media, literature and the visual arts. The Arts Projects deadline for individuals and groups is March 7. More at 4culture.org. Registration is now open for Seattle JazzED’s Summer Jazz Prep Camp. The free music camp runs June 25-30 and is open to students entering 4th, 5th, and 6th grades in the fall, with no prior experience required. Participating students are required to attend Choose Your Instrument Day prior to camp on April 22, where they will select from flute, clarinet, saxophone, trumpet, trombone, or upright bass. More information at seattlejazzed.org. The North City Jazz Walk committee is accepting submissions for musicians for the 2018 event, which will be held Tuesday, August 14, in Shoreline. Artists should send an e-mail, with links to their website and/or samples of their music, to musicdirector@northcityjazzwalk.org. The Seattle-Kobe Sister City Association announces the 14th annual Seattle-Kobe Female Jazz Vocalist Audition on March 19 at Dimitriou’s Jazz Alley. The SKSCA will send one high school student and one adult female jazz vocalist from the greater Seattle area to Kobe, Japan, in May to be a guest singer at the 19th annual Kobe Shinkaichi Jazz Vocal Queen Contest. More information and how to audition at seattlekobe.org/jazz-exchange-program. Submissions must be in by April 30. The Earshot Jazz magazine reflects and shares the many ways that jazz intersects with lives in the Northwest. Earshot Jazz is seeking submissions from writers: Please email story pitches, comments, news and announcements to editor@earshot.org.